Anemia is a blood disorder defined as an insufficiency of red blood cell or hemoglobin (iron-rich protein) in the blood. It is considered to be the most common blood disorder affecting more than 3 million Americans according to the American Society of Hematology. Anemia can be a result of nutritional deficiencies, medication use, injury, disease, and hereditary disorders. There are many different types of anemia with iron deficiency anemia being the most common. A less common but more serious type of anemia is Hemolytic Anemia. Hemolytic Anemia is an umbrella term for a group of disorders in which red blood cells are destroyed at a relatively fast pace. Red blood cells, also called erythrocytes, are the most abundant cells in our blood and body and their function is to carry oxygen to all bodily tissue via blood circulation. Red blood cells have a life cycle of about 127 days. This cycle starts with a process called erythropoiesis which refers to the production of red blood cells in the bone marrow, and the process is known to last 7 days on average. 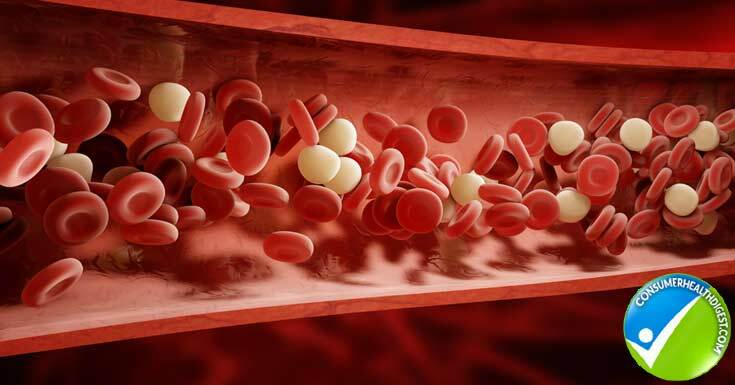 When red blood cells finally enter the blood stream, they usually live between 100 and 120 days. Disease states can shorten the normal lifespan of red blood cells and the bone marrow won’t be able to make up for the loss despite increasing red blood cell production as a response to the loss. The result of this is anemia. In the case of hemolytic anemia specifically, red blood cells are destroyed either in the blood vessels or in the spleen. Hemolytic anemia is always and without exception, a result of fast red blood cell destruction either because the red blood cells are malformed and frail or because the spleen cannot filter out these defective blood cells. This destruction can occur due to a range of diseases, either inherited or acquired, and the disease ranges in severity from mild and harmless to severe and life-threatening. Hemolytic anemia and the underlying cause is easy to diagnose, but there are instances where the causes of hemolytic anemia are unknown. Treatment of hemolytic anemia largely depends on the underlying disease causing the anemia and on the disease severity. Treatment may be lifelong in some cases while mild cases may not require any treatment at all. Hemolytic anemia can affect anyone but some population groups are at a higher risk of certain types of hemolytic anemia. Learning more about this rare group of blood disorders can help you know when to be worried and how to address the diseases if you already have a diagnosis. This is a condition in which the red blood cells are destroyed and remed from the blood stream before their supposed or normal lifespan is over. This result to difficulties in breathing as oxygen supply is limited, thus resulting to a number of health conditions. The red blood cell destruction can be attributed to diseases that may be inherited or acquired among other factors. How To Approach Hemolytic Anemia? 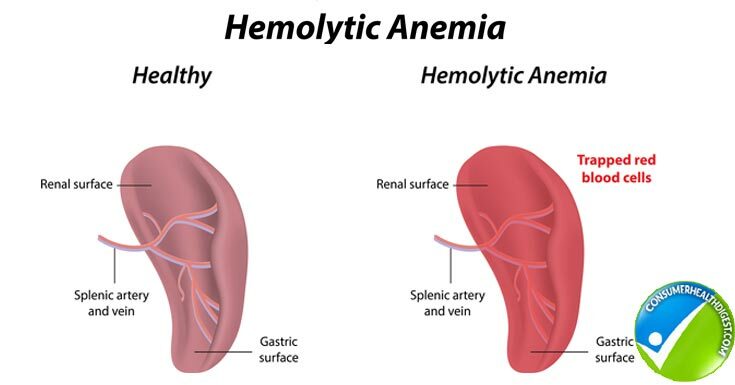 Hemolytic anemia and its cause are easy to treat or diagnose, but there are some cases where the causative agents of hemolytic anemia are unknown. Treatment of hemolytic anemia mostly depends on the existing ailments causing the anemia and on the disease occurrence. Diagnosis may be lifetime in some cases while mild cases may not require any treatment at all. 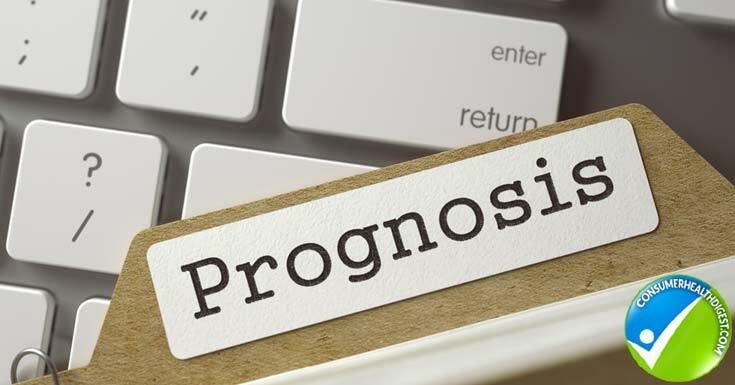 The best approach is identifying the condition first, identify signs and symptom and consult a specialized health provider for assistance in dealing with the condition. What are the Types of Hemolytic Anemia? There are many different types of hemolytic anemia but the basic classification is into inherited or acquired disorders. These two groups of disorders are quite distinct in terms of disease severity and cause but they all manifest with the same symptoms. Sickle cell anemia/disease – A serious disease where the body makes abnormal hemoglobin resulting in deformed red blood cells. Healthy blood cells are shaped like oval biconcave disks and this shape makes them flexible and helps them move through the blood vessels and the spleen. But in sickle cell anemia, the cells are sickle or crescent-shaped and they are inflexible and very fragile. As a result, sickle cells have a short lifespan of about only 10 days and they have a tendency to stick to the walls of the blood vessels which can lead to blockage and reduced oxygen flow. This combination of poor oxygen delivery, fast cell death, and the risk of blood clots is what makes sickle cell anemia so dangerous. Sickle cell anemia is a lifelong disease that is more likely to affect people whose ancestors are from sub-Saharan Africa, South America, the Caribbean, Central America, Saudi Arabia; India, and Mediterranean countries. Thalassemias – A group of inherited blood disorders where the body fails to produce healthy hemoglobin and the result of which is below normal levels of healthy red blood cells. The disease is most common among people of Mediterranean, Middle Easternern, South Asian, and African descent. Hereditary Spherocytosis – A hereditary blood disorder where gene mutations lead to defective red blood cell membrane proteins. The disease can manifest as mild or severe and usually affects people of Northern European descent. Glucose-6-Phosphate Dehydrogenase (G6PD) Deficiency – A disorder in which the red blood cells break down when exposed to certain drugs or diseases. The disease occurs when a person is deficient or does not contain enough of a red blood cell enzyme called glucose-6-phosphate dehydrogenase (G&PD). The disease is more common in males and people of African and Middle Eastern descent. Hereditary Elliptocytosis (Ovalocytosis) – Another genetic disorder that leads to the production of malformed red blood cells. The disease causes the red blood cells to become oval-shaped. These types of cells are also inflexible and have an abnormally short lifespan. Pyruvate Kinase Deficiency – A blood disorder most commonly found among the Amish people. The inherited disorder is caused by the body missing an enzyme called pyruvate kinase which causes the blood cells to breaking down easily. Autoimmune hemolytic anemia accounts for half of all cases of hemolytic anemia. The condition is caused by the body’s own immune system attacking red blood cells. Why this happens is largely unknown but having an autoimmune disorder, certain types of cancer, and dangerous viral infection (hepatitis, HIV) increase a person’s risk of developing an immune hematolytic anemia. Blood transfusion and bone marrow transplants can result in autoimmune hemolytic anemia as well. Alloimmune hemolytic anemia occurs during blood transfusions when the donor blood is a different type of blood than the recipient’s blood. To prevent alloimmune hemolytic anemia, it is important to check the blood type prior to transfusion. Pregnant women may need to check for rhesus factors in order to prevent pregnancy complications when their blood does not match their baby’s blood. In such cases, doctors will check for rhesus factor compatibility specifically. Rhesus (Rh) factor is a protein found on the surface of red blood cells in some people. If your blood has this protein, you are said to be Rh positive, and If not, you are Rh negative. Drug-induced hemolytic anemia happens when a person’s body reacts to certain medications binding to red blood cells and this triggers an immune system reaction that destroys red blood cells. Drugs that can lead to drug-induced hemolytic anemia include penicillin, aspirin, and antimalaria medicine. Some conditions and certain medical procedures can cause damage to the blood vessels and lead to hemolytic anemia. Diseases affecting the small blood vessels, heart valve surgery, hemodialysis, strenuous exercise, and severe hypertension can all cause damage to blood cells but only in people at high risk of hematolytic anemia. Other causes of hemolytic anemia include an enlarged spleen, blood poisoning, malaria, and snake venom. There are rare types of hemolytic anemia and related diseases that affect a very small portion of the world’s population. Hemolytic anemia is rare in itself, with 4 out of 100.000 people believed to have some form of hemolytic anemia. But even rarer forms of hematolytic anemia-related disorders include the atypical hemolytic uremic syndrome that occurs in every two per million adults in a single year. Current estimates suggest that there are around 200 people with this disease in Japan. The syndrome is characterized by three symptoms, namely microangiopathic hemolytic anemia, thrombocytopenia, and acute kidney injury. The disease which can be both inherited and acquired is exceptionally rare and seems to affect all populations alike. Another rare type of hemolytic anemia is spur cell hemolytic anemia which can be either inherited or acquired. The disease is characterized by the formation of large and spiky red blood cells that tend to accumulate in the spleen. The disease was previously only known to occur in alcoholics with liver dysfunction and cirrhosis, but now we know that there are cases where the disease can be inherited. This disease has a poor prognosis as well with most people having a poor chance of survival. Liver transplantation was found to be helpful in reversing the disease completely in some cases. The problem with spur cell hemolytic anemia is that these patients are often too ill to undergo any surgery which limits the options to help them recover from the anemia. As we’ve already explained, hemolytic anemia is caused by the body breaking down red blood cells faster than normal and the body cannot make up for this loss. Genetic disorders, certain medical conditions, and injury to the blood cells can all lead to an early breakdown of the blood’s most abundant cells. This breakdown of red blood cells is known as hemolysis and it can occur in the bloodstream or in the spleen or even liver with the latter being more common. Circulating blood is filtered continuously by the spleen. When blood contains deformed blood cells as in the case of hereditary hemolytic anemia, the blood cells don’t pass the spleen effectively and they are destroyed as a result. An article published in American Family Physician explains that immune hemolytic anemias are secondary reactions to immune disorders, blood transfusions, and certain medication. Hereditary anemia results in disorders of blood cell membranes, cell enzymes, and hemoglobin and subsequent malfunctioning red blood cells. Destruction of red blood cells occurring at a fast pace means that there is less healthy blood cells to carry oxygen to vital organs. Depending on the severity, this can result in a range of uncomfortable symptoms, medical disorders, and even death. Researchers aren’t sure why some people carry genes that make their body produce faulty blood cells, but there are some possible explanations brought by the large body of research on inherited hemolytic anemia. Observations made more than 70 years ago found that the sickle cell mutation is highly selected in population areas where malaria is more common such as sub-Saharan Africa, South Asia, and the Middle East. Some areas had a 10-40% prevalence of this mutation which seemed strange considering that sickle cell anemia leads to shorter life expectancy if not treated. To develop sickle cell anemia, a person needs to inherit two copies of the sickle cell mutation (one from each parent). People who inherit just one copy do not develop sickle cell anemia, but they were found to be highly resistant to malaria. These findings set the stage for the theories about human genetic resistance to malaria. The sickle cell gene mutation was seen as an evolutionary adaptation to the burden malaria has placed on the human species. Malaria outbreaks began growing with the origination of agriculture some 10.000 years ago. The genetic mutation causing sickle cells dates back to some 5.000 years ago according to Philip W Hedrick in an article published in the Malaria Journal. Because malaria infects the blood cells, changes in blood cell structure make the host resistant to infection with the malaria-causing Plasmodium parasites. What are the Possible Signs & Symptoms of Hemolytic Anemia? Fatigue – people with anemia feel unusually tired all the time and performing even the simplest activities becomes difficult. Shortness of breath – Anemia means that your heart is struggling to deliver enough oxygen to all bodily tissue due to a lack of oxygen-carrying red blood cells. The body tries to compensate for this lack by making the lungs work harder to deliver this oxygen. Vertigo – Vertigo is a common anemia symptom and it happens due to less oxygen reaching the brain. Headaches – A lack of oxygen and other nutrients to the brain usually results in headaches. Cold hands and feet – Less oxygen in your blood means that the heart also has to work harder in order to deliver enough oxygen to all bodily tissue. The heart becomes weaker when there is not enough oxygen in the bloodstream and this means that less blood is reaching your limbs leading to cold hands and feet. Pallor – Pallor is a direct result of less hemoglobin in the body due to anemia. Hemoglobin is the protein that gives our skin and mucous membranes a slightly reddish hue. Check for pallor in the lower eyelid, the gums, and palms is a way to diagnose anemia. The color here should be slightly red while in anemia the color is light pink to white. Chest pain – Severe anemia is more likely to lead to chest pain than mild anemia. Heart palpitations – Heart fluttering and any uncomfortable feeling around the heart are also signs of severe anemia as the heart works harder to bring more oxygenated blood to bodily tissue. Jaundice – Jaundice is the yellowing of the skin and the whites of the eyes. This yellowing can happen due to red blood cells dying and releasing hemoglobin into the bloodstream. In the bloodstream, the hemoglobin is then broken down into a yellowish compound called bilirubin that is then deposited into the skin and in the whites of the eyes. Upper abdominal pain – An enlarged spleen due to severe hemolytic anemia can cause upper abdominal pain. The pain may also be due to high levels of bilirubin being formed into gallstones as a result of chronic anemia. Leg pain and wounds – This symptom often occurs in people with sickle cell anemia. The pain happens when sickle cells clog small blood vessels in the extremities, reducing blood flow and causing pain and tissue degradation from a lack of oxygen. Shock – Shock can happen due to a severe reaction to a blood transfusion. Tinnitus – Buzzing, ringing, and any other unusual sounds that come from within your body rather than from your surroundings. Tinnitus usually manifests as buzzing in the ears. An altered sense of taste – Having a metallic taste or a reduced sense of taste could indicate anemia. Itchy skin – Itchy skin is a result of increased levels of bilirubin being deposited into the skin from red cell breakdown. The symptom is accompanied by yellowing of the skin. Tongue changes – The tongue feels sore or oddly smooth. Hair loss – People with anemia often notice their hair becoming dry, brittle, and thin. Hair loss is also very common with anemia. Pica – A desire to eat non-food items. Difficulty swallowing – Usually from dry mouth and weak muscles. Muscle weakness – Muscles need adequate amounts of hemoglobin in order to stay strong and functional. Anemia can result in muscle wasting due to low hemoglobin levels. Mouth sores – Open sores at the side of your mouth could also indicate anemia. Trouble concentrating and depression – Mental confusion and low mood are a result of less oxygen and nutrients reaching the blood due to red blood cell death in hemolytic anemia. Hemolytic crisis occurs when a large number of red blood cells are destroyed in a short span of time. The result of this happening is acute and severe anemia with a sudden onset and can lead to kidney damage. When any of the immune or inherited hemolytic anemias manifest in their severe form, a hemolytic crisis can occur. Recognizing these symptoms is important in order to prevent fatal outcomes. Contact your doctor if you develop any of the symptoms associated with anemia such as fatigue, pale skin, heart palpitations, especially if these symptoms get progressively worst in a short span of time. Jaundice and dark urine (red or reddish-brown) are also signs to look out for with a hemolytic crisis. How to Diagnos Hemolytic Anemia? If your doctor suspects hemolytic anemia, they may perform a series of tests to see if you do or don’t suffer from hemolytic anemia, before undergoing hemolytic anemia treatment. Your primary care doctor can help diagnose anemia and also refer you to a specialist called a hematologist for further testing. Your primary care physician will look into your medical and family history. They will ask you detailed questions about your symptoms, your medical history, and your family history of diseases. The questions they will ask specifically include if anyone in your family has anemia, do you have any diagnosed medical disorder, and are you currently taking any medication among other things. This will help your doctor determine if you are a candidate for further tests for anemia. Your primary care doctor will also perform a physical exam to look for any signs of anemia. They may check your eyes and skin for jaundice, listen to your heart to see if you present with a rapid or irregular heartbeat, feel your abdomen to check the condition of your spleen. Next, you will be referred to a blood test to check your blood count. Blood tests help measure your hemoglobin levels and they’re usually enough for the diagnosis of anemia as a low level of hemoglobin in the blood is always a sign of anemia. Blood tests can also check your complete red blood cell count as well. Any abnormal results can indicate hemolytic anemia or a different blood disorder. Reticulocyte count – This test measures the number of young blood cells circulating your bloodstream. This test gives insight into how your bone marrow is working. High levels of young/immature blood cells called reticulocytes mean that your bone marrow is trying to make up for the loss of red blood cells by producing more blood cells. Peripheral smear – A doctor will take a look at your blood cells under a microscope to see if there are any deformed red blood cells. This test is enough to diagnose sickle cell anemia and similar disorders affecting red blood cell anatomy. Coombs’ test – A test to look if your body is making antibodies that are destroying healthy red blood cells. This test is performed when there is suspicion of an autoimmune hematolytic anemia. Haptoglobin, bilirubin, and liver and gallbladder function tests – Low levels of haptoglobin could indicate hemolytic anemia. High levels of bilirubin are also a sign of possible hemolytic anemia. However, high levels of bilirubin are also a result of liver and gallbladder disorders. Further tests need to be performed to rule out the possibility that you have an organ disorder rather than a blood disorder. Hemoglobin electrophoresis – This takes looks at the different types of hemoglobin in your blood and it helps diagnose hemolytic anemia when done alongside other tests. Testing for paroxysmal nocturnal hemoglobinuria (PNH) – This test will reveal if your red blood cells are missing some of their key proteins and may help diagnose paroxysmal nocturnal hemoglobinuria (PNH) which is a rare type of acquired hemolytic anemia. Osmotic fragility test – This test looks for fragile blood cells and may help diagnose inherent hemolytic anemia disorders. Testing for glucose-6-phosphate dehydrogenase (G6PD) deficiency – This test looks for the G6PD enzyme in a blood sample and can help diagnose this rare disease. Urine tests – Urine tests are performed to look for the presence of hemoglobin in the blood. Bone marrow tests – A doctor removes a small sample of your bone marrow using a needle and this sample is examined under a microscope to check the number and type of cells in your bone marrow. This test is only performed if other tests failed to provide any diagnosis. The test may also help determine if a bone marrow disorder is causing your anemia. Other tests – Tests to check for kidney failure, lead poisoning, and vitamin deficiencies are also performed because they are also common causes of anemia. The sooner your doctor is able to establish a diagnosis, the better your outcomes. But in most cases, doctors can easily diagnose hematolytic anemia performing any of the above-listed tests. In the cases where it is difficult to determine the underlying cause of the anemia, genetic testing may help. A study that was recently published in The Japanese Journal of Clinical Hematology found that the next generation sequencing techniques have enabled researchers to determine the newer genes in patients with undiagnosed hemolytic anemias. People with very mild hemolytic anemia may not require any hematolytic anemia treatment while those with severe and hereditary hemolytic anemia may need lifelong treatment. Treatment of hemolytic anemia, of course, depends on the specific type of the anemia, disease, severity, and a person’s overall health. Treatment usually involves blood transfusions, plasmapheresis taking medication, blood and bone marrow transplants, surgical procedures, and lifestyle adjustments. Initially, the goal of any treatment is stopping or reducing red blood cell destruction, treating the underlying condition and brining the red blood cell count to healthy levels. Blood transfusions are usually performed in the case of an emergency where there is a high risk of fatal outcomes. In the case where there is significant red blood cell loss, a blood transfusion is needed to save a person’s life. The goal of a blood transfusion is to restore normal blood circulation and to deliver as much oxygenated blood to vital organs to prevent organ failure. This procedure is used only in cases where other treatments fail to produce positive outcomes in the case of immune hemolytic anemia. The procedure involves inserting a needle into a vein with the goal of removing blood from your body in order to separate the plasma from the rest of the blood. This then helps remove antibodies which are found in the plasma from your blood by replacing your plasma with donor plasma. Corticosteroid medicine (sprednisone) – Corticosteroids prevent your body from creating antibodies that attack your red blood cells. Research shows that corticosteroids, which are the first-in-line treatment for autoimmune hematolytic anemia are successful in 70-85% of all cases. 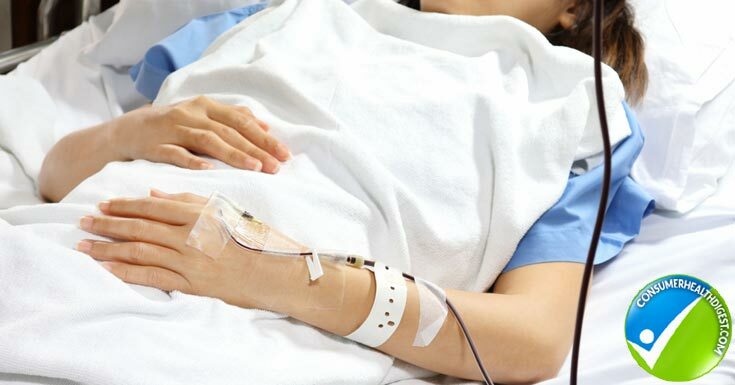 Rituximab and Cyclosporine – If you don’t respond well to corticosteroids, which often happens, your doctor will suggest these medicines to help suppress your immune system. Hydroxyurea – This medication is prescribed to people with severe sickle cell anemia and it stimulates your body to make a type of hemoglobin called fetal hemoglobin. This type of hemoglobin was found to prevent red blood cells from becoming sickle-shaped. Surgery that helps with hemolytic anemia include spleen removal to stop the organ from destructing high numbers of red blood cells. Only enlarged spleens are removed. People usually recover successfully from this procedure, but they may become more prone to infections following surgery. This is because, other than filtering out blood, the spleen also plays an important role in warding off infections. In hemolytic anemias such as thalassemias, where the bone marrow fails to produce enough healthy blood cells, a bone marrow or stem cell transplant may be needed. Transplanted bone marrow stem cells are able to produce new healthy blood cells once they reach your bones. People suffering from inherited or autoimmune hematolytic anemias may need to take certain measures to improve their outcomes and to remain healthy. Doctors will usually recommend that you take plenty of rest, avoid stress, and strenuous activity because stress and too much physical exertion is known to deplete the body of iron stores. Those with glucose-6-phosphate dehydrogenase deficiency can keep their condition under control by avoiding substances known to cause them anemia. Examples of what they should avoid include fava beans, moth balls, and certain types of medication determined by their doctor. Some people may even benefit from taking folic acid and vitamin B supplements and through dietary changes. In rare cases, vitamin deficiencies can cause hemolytic anemia as was recently reported in a study where a man developed hemolytic anemia due to vitamin B12 deficiency. Studies also show that nutrition may play a role in sickle cell disease as well. Vitamin D deficiency, for instance, was found to lead to complications following sickle cell disease diagnosis in a study published in Nutrition and Metabolic Insights. Some types of hemolytic anemia may require lifelong care and adjustments while others are treated successfully. The outcomes for hemolytic anemia vary widely depending on the type of diseases involved. But in general, hemolytic anemia is no longer deadly as it used to be thanks to advancements in research and medicine. Removal of the spleen can help prevent anemia in people with sickle cell disease and similar types of anemic diseases. Furthermore, most people with immune hematolytic anemia respond well to medication and their outcomes are generally good if they continue to use their medication. Blood transfusions and plasmapheresis have helped save countless lives of people suffering severe forms of hematolytic anemia. The exception is for the rare cases of hemolytic anemia for which the prognosis is extremely poor due to the aggressive nature of these diseases. Hemolytic anemias are rare groups of blood disorders. Some hemolytic anemias are inherited while others are acquired. Inherited disorders of the blood are more often found in certain populations, specifically the tropical regions. They usually result in the formation of deformed and malfunctioning red blood cells. Theories based on a large body of research suggest that some population groups have developed these forms of inherited blood disorders as an adaptive mechanism to malaria. However, when a person acquires two pairs of the gene mutations that cause sickle cell anemia, their risk of premature death increases if they don’t receive treatment. For this reason, why people develop these malformed sickle cells remains a mystery. People may also develop hemolytic anemia due to autoimmune reactions, medication, surgery, injury, or from blood transfusions. These types of anemias do not cause the production of deformed red blood cells but rather the destruction of healthy blood cells either in the bloodstream or in the spleen. Our spleen is an organ that filters out blood and collects dead blood cells. An enlarged spleen can cause problems and lead to hemolytic anemia. All anemias, including hemolytic anemia, manifest with the same symptoms. The symptoms vary according to disease severity. Early on, the symptoms are fairly unspecific and can be confused with a cold, flu, or simple fatigue. However, if these symptoms persist, chances are that a person is suffering from some form of anemia. The initial symptoms are usually fatigue, pallor, and a rapid heartbeat and they are a result of the body not having enough hemoglobin and oxygen for normal organ functioning. Jaundice, abdominal pain, and wounds are a sign that the anemia has progressed and is causing a buildup of bilirubin, gallstones, and even blood clotting. If you recognize these symptoms, do seek medical help immediately. While people with inherited hemolytic anemias had a shorter life expectancy before, current treatment options mean that most people with this diagnosis can live long and normal lives. First in line treatment includes blood transfusions, medication, and life adjustments. People with inherited hemolytic anemia may need to take medication for the rest of their life to promote the production of healthy blood cells. Some may need to undergo spleen removal to prevent their spleen from destroying their red blood cells. Hemolytic anemia may sound like a complicated and dangerous disorder, but it rarely results in severe illness and death nowadays. Today’s treatments options can help anyone diagnosed with hemolytic anemia tackle the disease successfully. Unfortunately, researchers still do not know why some people develop autoimmune hemolytic anemia nor if there is a way to improve outcomes in those with a strong hereditary background for hemolytic anemias. Future research may help us understand more about these rare blood disorders.